The comic made us laugh – and paved the way for generations of comedians. 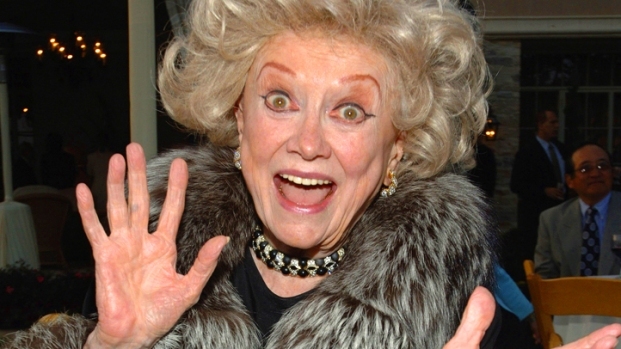 Phyllis Diller knew how to make us laugh. Phyllis Diller's husband “Fang,” the target of many of her lightning-fast and razor-sharp barbs, was fictional. Her hair, an outrageous fright wig that would have made the Bride of Frankenstein blush, wasn't real. And neither, frankly, as the years went on, was much of her face – the subject of quite a bit of plastic surgery and many more of her self-mocking jokes. But there wasn't anything phony about Diller, a comedy pioneer who died Monday at age 95. Her talent and influence on stand-up – from Joan Rivers to Roseanne to Sarah Silverman and beyond – were the real deal. Diller could match wits with – and sometimes outwit – the likes of Groucho Marx, Johnny Carson and, most memorably, Bob Hope, her frequent comic sparring partner in movies and TV skits (Diller: “Do you realize he last time you kissed me was on our honeymoon?” Hope: “Really? Were you there?”). Lucille Ball may have been TV's biggest star when Diller hit the scene in the early 1950s. But no woman, not even the legendary Moms Mabley, experienced the kind of success Diller did breaking into the then-male-dominated field of stand-up comedy during the early years of television. That Diller didn't get in on the game until she neared 40 made her story all the more extraordinary, inspirational – and influential. Diller's first and most direct descendant, Rivers, inherited her by turns caustic and self-deprecating wit (not to mention her penchant for plastic surgery). Roseanne rode her take on Diller's earthy housewife humor ("Housework can't kill you – but why take a chance?") to the heights of sitcom success. Silverman took on, in her own bawdy way, Diller's sense of the outrageous, even if the bar to shock has shifted since Diller first took to the stage nearly six decades ago. Generations of comedians owe Diller a debt, even if not all are directly familiar with her storied stand-up career, which ended with her retirement a decade ago. But we suspect that Diller, like any great comic, would want to be remembered less for her impact than her jokes – fired off as she tossed her head back with a confident cackle, an ever-present cigarette holder in her hand. “I put on a peek-a-boo blouse. People would peek – and then they’d boo,” went one famous line. Another classic quip involved Diller running with a trash bag after the garbage truck, asking, "Am I too late?" "No," the driver told her, "jump right in." Diller even named her memoir, "Like a Lampshade in a Whorehouse," for a line in her joke about a supposed past gig (“I couldn’t get one of the good jobs”).